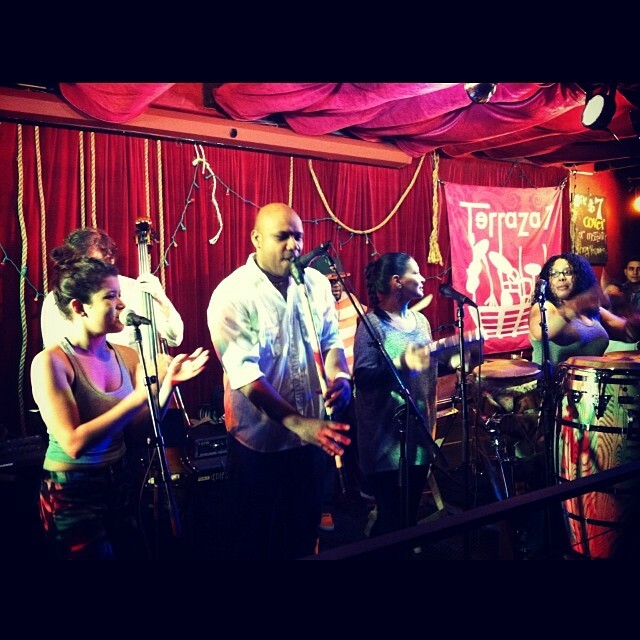 With some of the finest Colombian musicians in the United States, Ronald Polo(vocalist/composer/gaitero) and Morris Cañate (master folkloric percussionist) join their talents to lead and ensemble rich of musical traditions of their ancestors; the afro-descendants of Colombia’s Caribbean coast. With the strong mesmerizing beats, this music goes into your system like a dose of pure, sincere and contagious energy! Terraza literally catches in flames when Rebolú is on stage. Join us this Saturday for a fantastic time!